Fund now! Quy trình làm việc như thế nào? Norwegian Society for Protection of Animals (NSPA) Sør-Trøndelag is a local department in the organization NSPA. Norwegian society for protection of animals is a nationwide animal welfare organization with 30 local departments spread across the country. Since 1859 it has worked for animal rights and for animals to be treated with respect and compassion. This makes them one of the world’s oldest animal welfare organizations. The organization is drifted by volunteer work and runs on donations. NSPA Sør-Trøndelag is located in Trondheim. Its is drifted by several volunteers that do amazing work for the animals the society rescues. Yearly they take in around 200 to 300 animals, mostly cats. The animals are rescued are homeless and hurt, and in need of help. The animals are castrated, ID-marked and vaccinated before find them new homes. 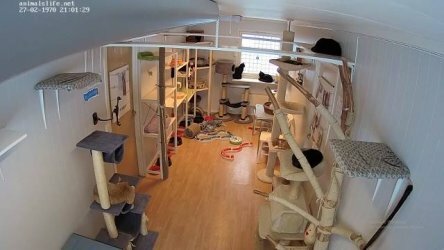 The society has a small cabin with enough space for around 20 cats, also have several foster homes that makes it possible to help more animals. The dream of society is to buy a house with more room for the animals and the ability to take in and help more animals in need. Trung tâm Cứu trợ "El Gatio"